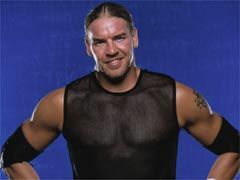 Edge is one of the brightest young stars in the World Wrestling Federation. The Canadian Superstar has excelled in both singles and tag-team action. He won the Intercontinental Championship in his hometown of Toronto last July, much to the excitement of the crowd in the SkyDome. 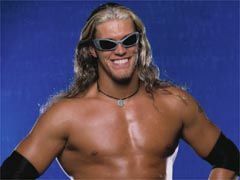 Along with his partner Christian, he has been part of some of the most memorable tag team matches in Federation history. Edge truly loves his fans, and "for the benefit of those with flash photography," he and Christian love to strike a "totally reeking of awesomeness" pose wherever they go. Christian is an impressive young athlete. This warrior is fearless in the ring, and often risks his own health in order to execute maneuvers. He is destined to lead the Federation into the next millennium. Teamed with Edge, he loves his fans, and "for the benefit of those with flash photography," the duo loves to strike a "totally reeking of awesomeness" pose wherever they go.